You frequently see censored images in newspapers, magazines and on the television. Pixelation is most often used to blur out the features of people to preserve their privacy. Whether itâ€™s to protect the children of celebrities, a car number plate or a personâ€™s private parts that have wrestled their way out of their clothes, there is a Photoshop filter to help censor those images. Hereâ€™s a really quick way to give your images that censored look using the Pixelate filter in Photoshop. 1. Open up the image that you want to censor. 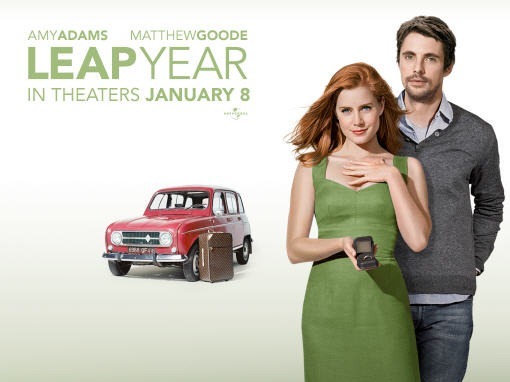 Iâ€™m using a wallpaper of the movie poster for Leap Year which I downloaded from MovieWallpaper.net. I donâ€™t know anything about the movie, I was just looking for an image with a couple of faces in it. 2. 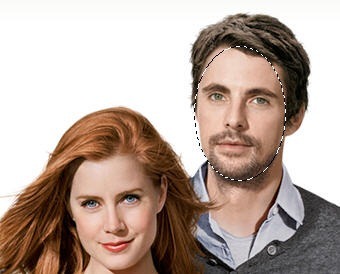 Draw a circular selection around the manâ€™s face using the Elliptical Marquee tool (M). 3. 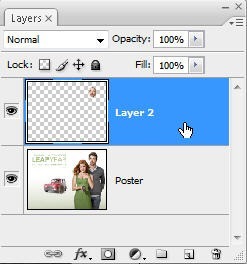 Press Ctrl + J (win) or Cmd + J (Mac) to duplicate and copy the selection onto a new layer. 4. 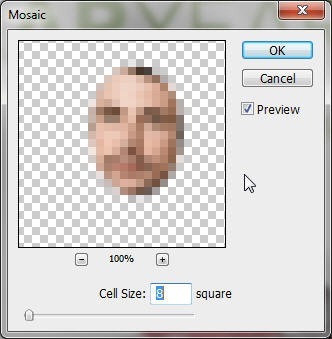 With the new layer selected, choose Filter > Pixelate > Mosaic. This opens the Mosaic dialog box. Make sure the Preview check box is selected so you can see how the image will be affected. Choosing a low number for the cell size produces a small but noticeable level of pixelation. Dragging the slider to higher cell sizes produces massive â€œpixelsâ€�. For this image I chose a cell size of 8. The final image looks like this. Now who on earth is that man? The Pixelate filter is good fun to play around with. 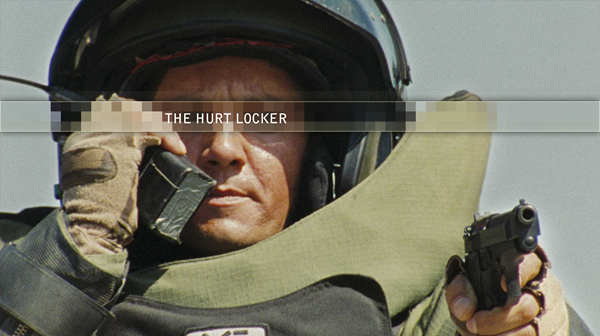 Hereâ€™s another example, this time using an movie still from the film â€œThe Hurt Lockerâ€� (best film of 2009 for me). Using the same method as above, I selected a strip across the main characterâ€™s face and duplicated it on a new layer and applied a mosaic with a cell size of about 20. Then I added a drop shadow and an inner glow to make the mosaic strip stand out a little more and finally added some text. And there you have it. Do you ever use the Pixelate filter? If you enjoyed reading this post, you’ll love Learnable; the place to learn fresh skills and techniques from the masters. Members get instant access to all of SitePoint’s ebooks and interactive online courses, like Foundations of Photoshop. Comments on this article are closed. Have a question about Photoshop? Why not ask it on our forums?